Chavanga Fish Blog: Nymph salmon fishing. In most cases, we catch a salmon equally, a method of a classical wet fly, we throw downwards and across, selecting further speed, a direction and depth. This June on Chavange some hot days have warmed up water unusually early, the River remained as in spring high and rather turbid from an impurity of peat from the overflowed bogs. Such combination not too is pleasant to fishes, at them character and appetite on spring salmon is corrupted. Usually we pass to smaller and more modest flies, but wished all the same have not received. Or fish absolutely wishes nothing or it is necessary to change technics of catching. It seemed to me that on large flies does not peck, and small I cannot spend as it is not necessary, I can achieve their correct position in water. 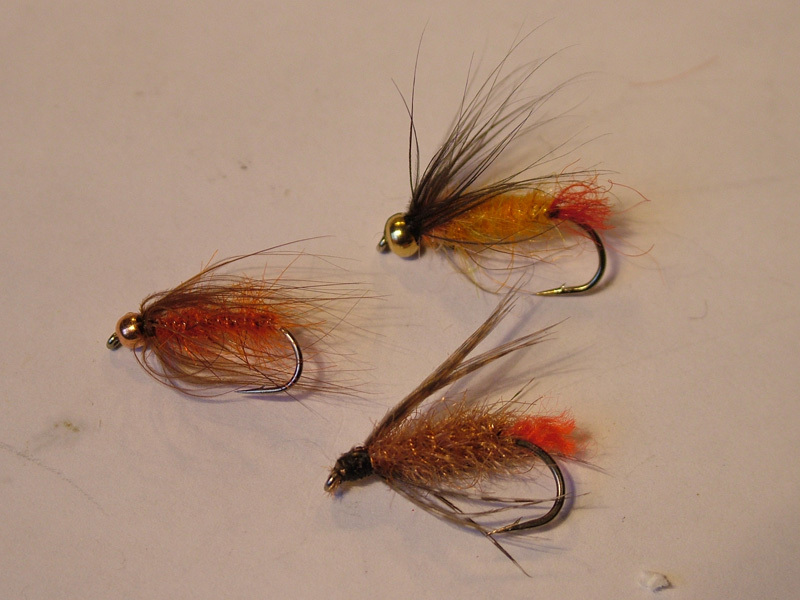 I already had some experience of catching on usual wet flies which hardly you will carry to the salmon. For example, the salmon always not bad concerned flies with a metal head which could play a provoking role or to serve as an imitating detail. In some cases, the metal head, first of all, improves conducting. A fly to keep on a current or in deep places where it is not easy to get on level of the fish nose easier. It would Seem, the 100-th gramme, but for small fly it is a huge difference. And additional 15- 20 centimetres of depth too are essential to such bait. But in high, moreover and rather turbid water standard variants have seemed not absolutely effective. 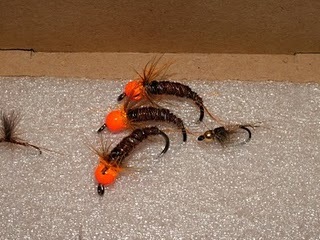 If have gone on this way what the tax of flies more close to fish was necessary to connect them on tungsten heads (Bead Head Nymph). Only in their weight I can explain revival of interest of a salmon to a fly. Distinctions between some wet flies and nymphs are rather conditional. More than that, the difference of classification groups is defined sometimes not by anatomy, and a catching method. When in a hand there was a fly with a tungsten head, it became clear that the front sight has outgrown frameworks wet and it is time to catch it, as the nymph. And cast to do not across and downwards, and to throw it upwards and across, to make standard nymph cast. To fall outside the limits habitual work as a wet flies it has appeared not only it is productive, but also it is interesting. I will not begin to assert what to catch the nymph it is necessary always and everywhere. Just I want to notice that after a week efficiency of the nymph has considerably fallen. Water has brightened up, level was gradually normalised and on the foreground there were advantages of a wet technique in work on the areas.